Posted March 13, 2014 by Dara Bradley, Connacht Tribune in News. Transport Minister Leo Varadkar has effectively ruled out the prospect of a bypass of Claregalway being built any time soon, if at all. The Minister said that his department doesn’t have any money to build the €21 million road around the traffic-jammed village. 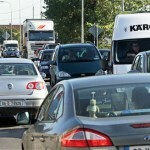 He also intimated that even if his department had the money, there may not be a need to build a bypass of Claregalway because the new Gort–Tuam motorway could remove the need for a relief road. 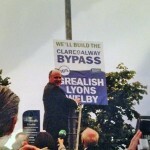 The minister’s comments are a blow to Claregalway bypass campaigners and local politicians such as Independent Noel Grealish, who for over a decade has staked much political capital in a relief road for the village. 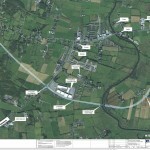 In a statement on the prospect of the Claregalway bypass being built and the progress made on the road to date, Varadkar said: “The preliminary cost estimate given in the 2010 feasibility study report for the Claregalway inner relief road was approximately €21 million. The Council was allocated €50,000 towards the design of the Báile Chláir Inner Relief Road in 2013. However the reality is that my Department is not in a position to commit funding to the construction of a relief road for Claregalway at this stage, but we will reconsider the matter should the financial position improve. Any such review would also take account of progress on the M17/18 project and its potential impact on traffic levels in Claregalway. 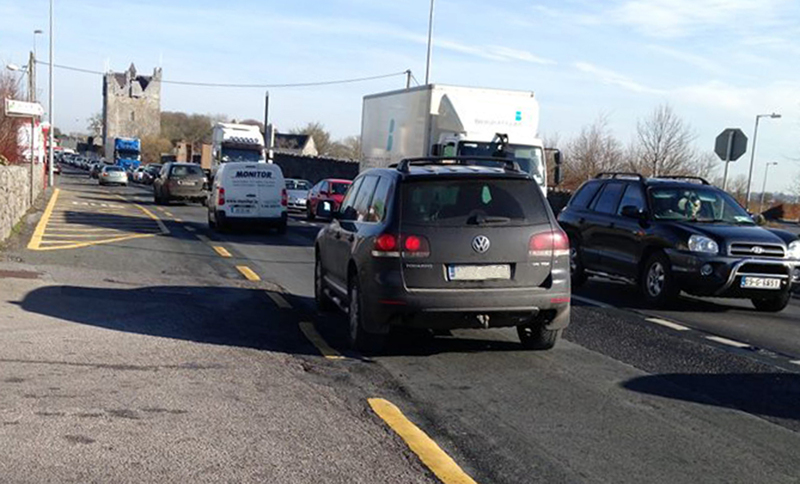 Never ending stream of traffic in Claregalway. Photo snapped at the Nine Arches on March 11th 2014 at 10am.